Church isn't something we do. Church isn't some place we go. Church is who we are! I've heard more than one person talk about the above thoughts lately, and I just wanted to echo them. I don't believe that when Adam (man) was created, God meant for him to get a group of people together and find a building and meet together each week and get some instruments and sing some songs and start some programs and get everyone to give some of their income and... you know the story. And after Adam ate from the tree of the knowledge of good and evil, and sin entered the world, I don't believe that God's remedy was to send Jesus for the purpose of getting people together for the above activities. Rather, I believe, according to several New Testament passages, that God sent Jesus to take the penalty and to become sin for us, so that we might become the righteousness of God in Christ Jesus (2 Cor 5:21)... and that those people who are in Christ are all part of the Body of Christ, with Christ as the Head... and this is otherwise known as the church. The worldwide body of Christ (the church) may indeed have times when they meet together in various sized groups for various reasons, either regularly or from time to time. One of the biggest reasons, at least to me, for "doing" this is for the purpose of spending time encouraging each other in who we already are in Christ, and to encourage each other in the various "parts" that we are in the body of Christ. But "church" is so much more than getting together in a weekly meeting or worship service or Sunday School, or (add your own reason for "going to church" here). Church is eating, sleeping, breathing... being who we are in Christ 24/7. Whether we're in a smaller, local gathering of "the church," or if we're doing something entirely different, that doesn't have any appearance of "church-like" activity, we never cease to be the church, and we never cease to be the individual parts of the body that we are, and the Head of the Body never ceases to use great wisdom in making all the parts work together as He ordains! The point is, if today's "church" is your thing, that's great, but may your gathering together with other saints not simply be something you do with the thought that God wants you to "go to church." May it be because the Head of the Body is working some great things out in His Body, and your local gathering may just be something He is doing as part of the much bigger picture of His entire Body! And remember too, that His Body isn't confined to "a church." His Body is what it is, wherever it is! For a related article that I wrote for "my church" (a local, organized, regular gathering of saints) a year and a half ago, click here. You nailed it! We are the Church. I was reading T-Austin Sparks...and he conveyed the thought that Christ is not fully complete without His Church nor is the Church fully complete with out her Jesus. "Now as Christ is His essential nature never was of the earth, neither is the Church. The Church has never been an earthly thing in God's thought. 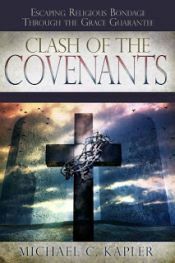 Paul takes you right back and shows you that the Church is in the heavenlies before ever the fall took place. In Christ we are made to bridge the gap created by the fallen ages. Before the world was, Christ existed with the Father, litterally and personally. The Church existed in the foreknowledge of God before the world was though not literally in the same way that Christ did; that is, this is not a reincarnation, but in the foreknowledge of God the Church was as actual before time as it is now...or ever will be. Whenever Paul speaks of the Church, he always speaks of it as though it were complete. He never speaks of as completing it"
Keep on bros. Would highly recommend you fax in for the free 30 lbs of Sparks material...you may never purchase retail from a Christian bookstore again...roaring out aloud..RoG of walkingchurch.